The spirit of Muhammad Ali was inescapable on Saturday night, The Greatest shining down on the ring in the form of a thousand smartphone flashlights as the crowd chanted “Ali, boumaye!” He would surely have smiled at the reverence and gratitude with which he was recalled on a cool evening in southern California, and he would have beamed with admiration at the action that then unfolded, twelve rounds of sanctioned violence worthy of comparison with the most dramatic of the battles that marked his exceptional career. 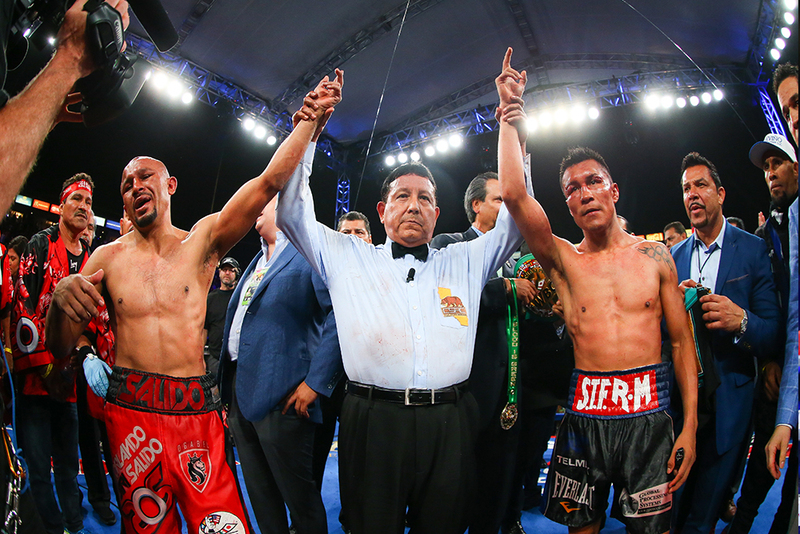 Of all the plaudits that will come the way of Francisco Vargas and Orlando Salido when those who witnessed their junior lightweight war at the StubHub Center finally catch their breath and somehow find the words to describe the beautiful brutality that unfolded, perhaps the greatest compliment to be paid is that, by the time the final bell had rung, they had shunted prefight thoughts of The Greatest temporarily to one side. 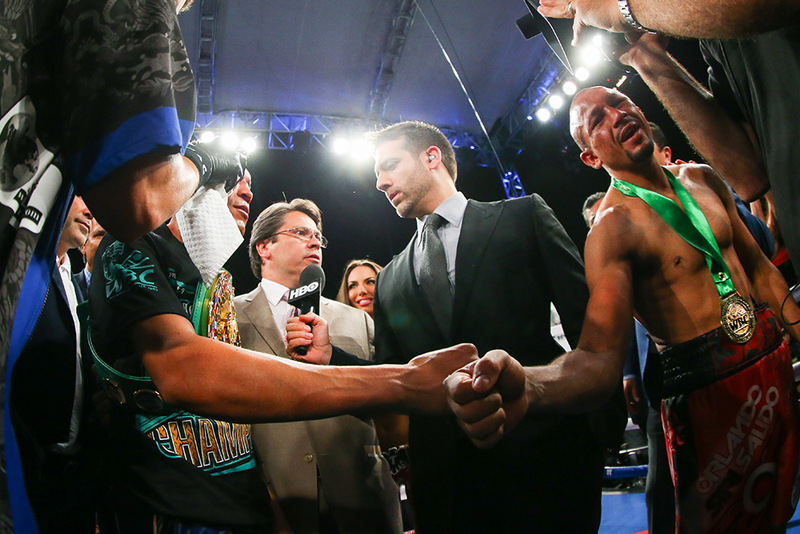 What Salido and Vargas did on Saturday night will not soon be forgotten, and as the echoes of that final bell rippled through the evening air, their fight was already being enshrined by many ringside as the greatest of the year, or even the past few. When their result was announced as a draw, it felt almost as a relief, because this was a night on which neither man deserved to lose. Vargas, 23-0-2 (17 KOs), had spoken beforehand of his need to fight an intelligent fight, to utilize his reach and boxing skills as much as possible in an effort to keep the tough infighting Salido, 42-13-4 (29 KOs) at bay. But he knew, he said, that at one stage a brawl would break out; he might have hoped, however, that it would not do so as soon as it did. 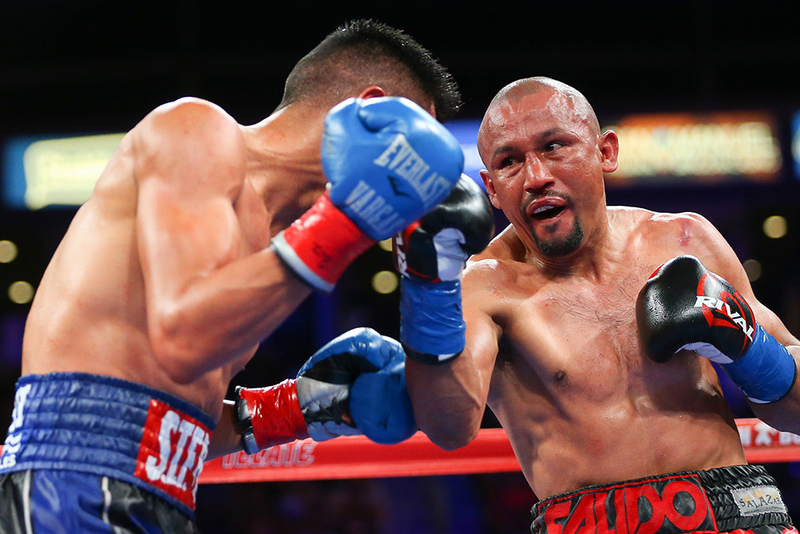 He was the one who landed the first telling blow, however, cracking Salido with a left and a right in the opening frame and backing him toward the ropes. 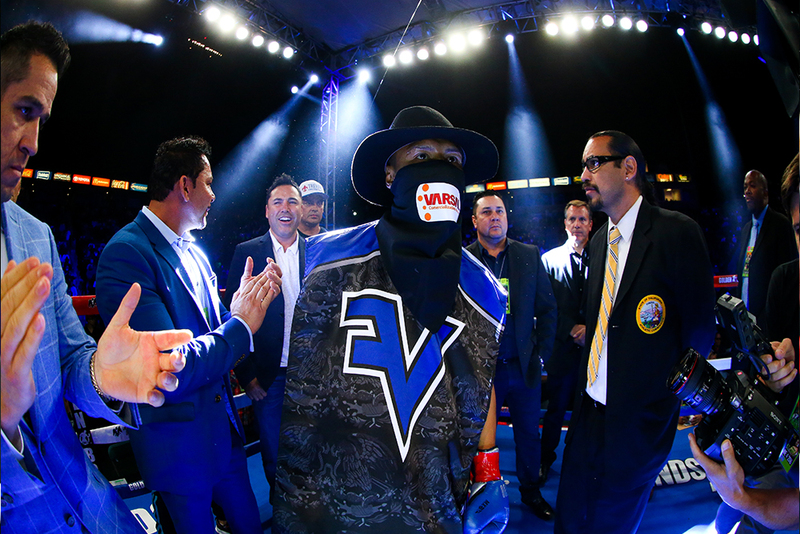 But the cagey veteran slipped many of his follow-up punches, and scored with a telling left and right of his own as referee Raul Caiz – mistaking the ten-second clapper for the bell (as seems to happen with some regularity at the StubHub) stepped between them. 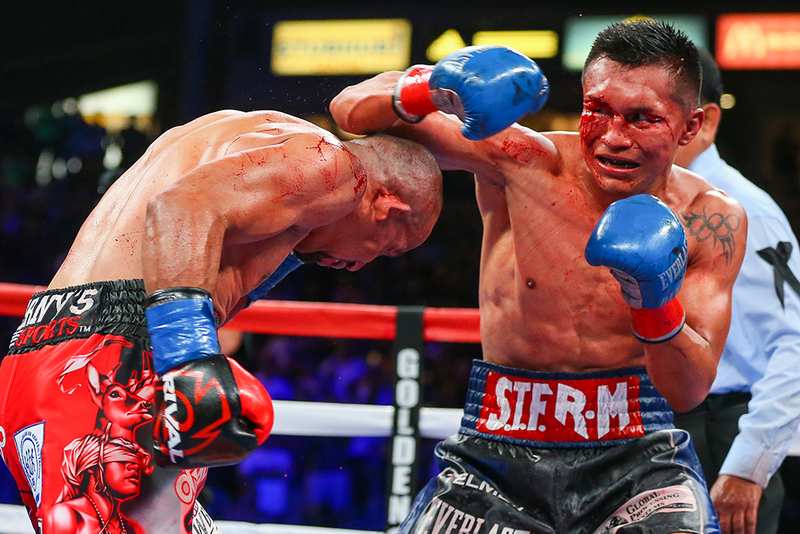 By the second, a pattern had already been set, the two men exchanging telling blows, each digging to the other’s body and then switching upstairs; the third, however, was the first in which Salido moved into top gear, barreling forward and launching vicious body shot after vicious body shot, suffocating and brutalizing Vargas with punches as the two stood toe to toe. 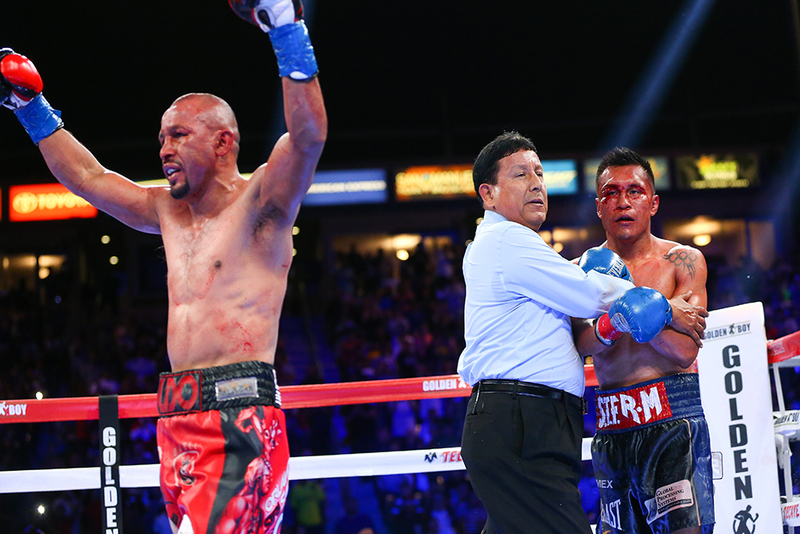 Vargas might have preferred more distance between them, but Salido gave him no choice, and even as Vargas cracked his foe with uppercuts in close, the veteran continued his onward march. The punches were a blur, the changes in momentum too rapid to be easily described. 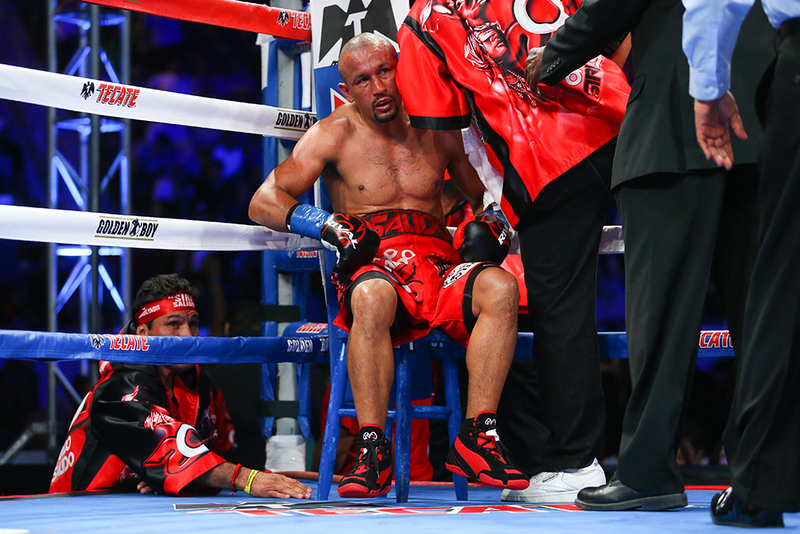 CompuBox final stats showed that Salido landed 328 of 939 total punches, or 35 percent, while Vargas’ 386 total connects were 33 percent of the incredible 1,184 he threw. 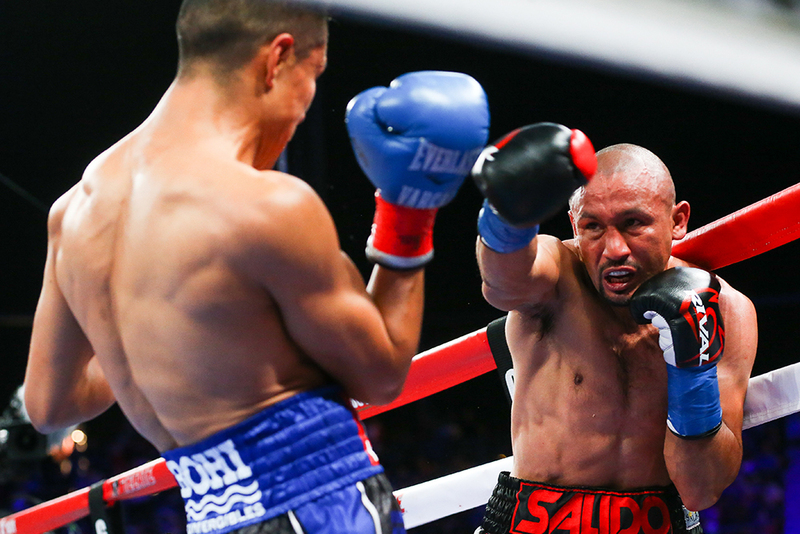 Back and forth they went, Salido torqueing lefts and rights and Vargas returning fire, seemingly on the point of wilting until a booming counter hook in the sixth caused Salido to stiffen. 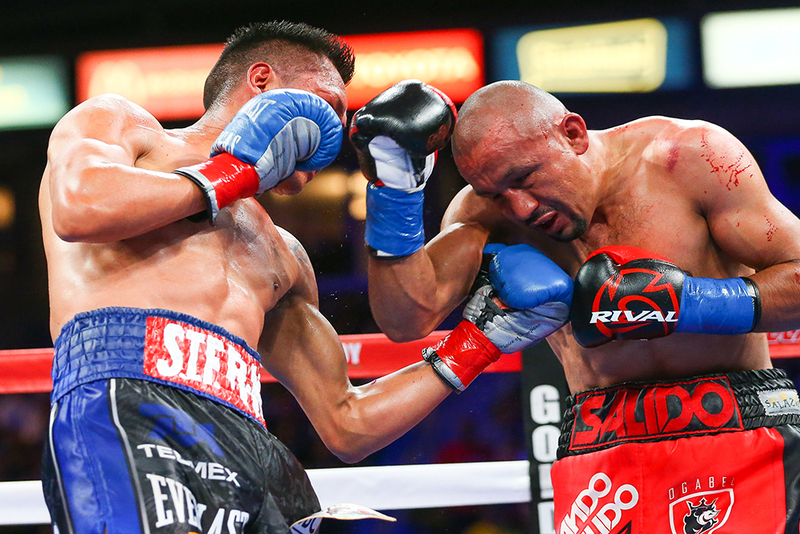 Vargas backed him to the ropes, looking for a conclusive finish that would enable him to escape this never-ending torture, but a Salido right hand paused the onslaught until yet another Vargas right sent him staggering backward again. 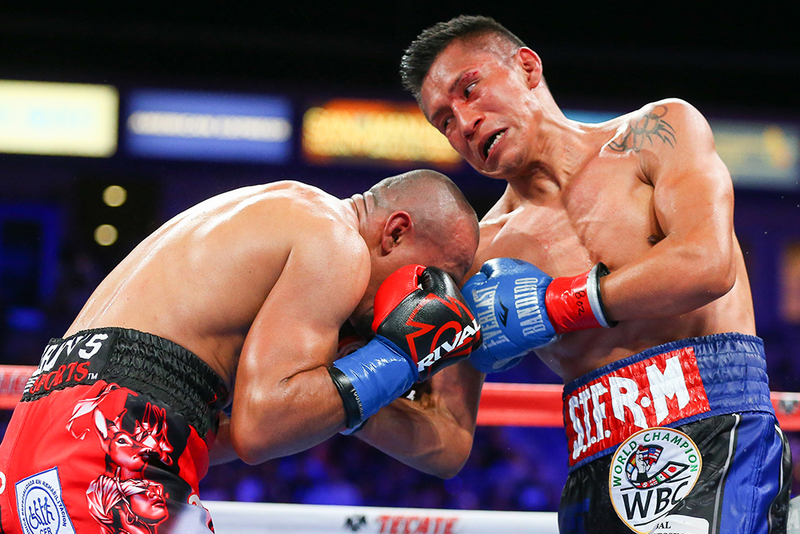 It was Vargas’ turn to sag in the eighth, following a Salido hook and right hand, but then he regained the initiative in the ninth, forcing Salido into retreat with powerful uppercuts and then circling and jabbing to gain himself a breather and some control. It didn’t last for long, and close quarters battle was rapidly resumed. The scar tissue that Vargas had accrued from his Fight of the Year clash with Takashi Miura last year was slitting wide open in the tenth, but the bloody warrior was the one who had his opponent in desperate trouble in that round, Salido again sagging into the ropes under a Vargas assault. 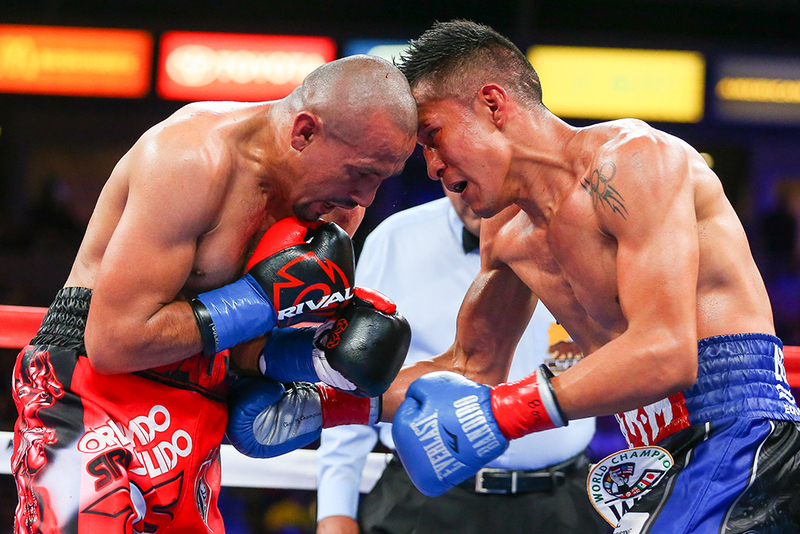 Somehow, Salido found the strength to regain the initiative with another offensive explosion highlighted by a number of powerful right hands in the eleventh; and the two battled on even terms in front of a roaring crowd to close the show in the twelfth. 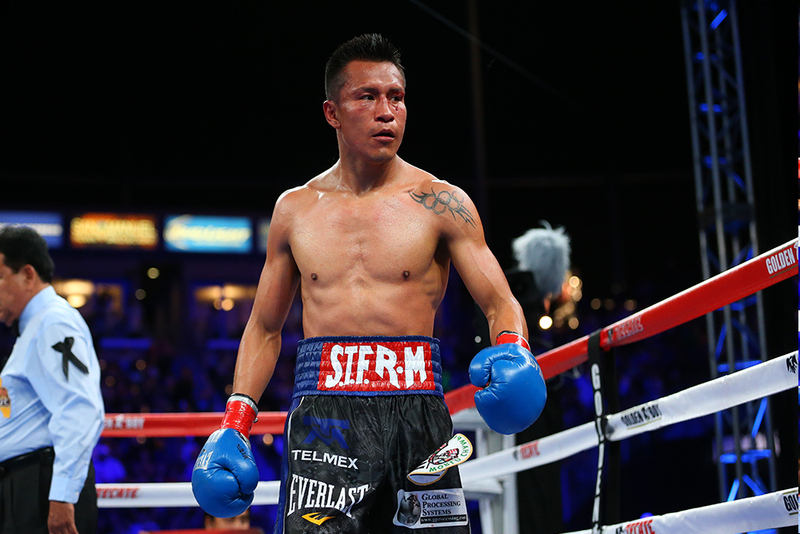 One judge saw the fight narrowly for Vargas, 115-113, but the other two scored it a draw, and frankly even the fighters found little about which to complain in that verdict. In a battle of unbeaten featherweights, Abraham Lopez, 21-0-1 (15 KOs), somehow emerged victorious against Julian Ramirez, 16-1 (8 KOs), with a unanimous decision that had observers at ringside scratching their heads in disbelief. It was, to be fair, a fight that for much of its duration was as close as it was hard fought, but it was Ramirez who appeared to be landing the clearer, more effective punches and to have come away with the win. That said, Lopez was clearly also having his moments, backing up as Ramirez chuntered forward and torqueing eye-catching punches as his foe moved within range. Whatever the judges’ verdict, however, both men deserved praise for a tough battle that left its scars on each of their faces.